If you've ever "felt" like decorating something, here's your chance! Adhesive-backed felt letters and numbers offer unlimited possibilities for adorning felt boards, pennants, walls, posterboard, paper, and more. 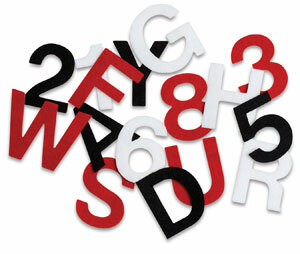 81-piece assortments of 2" letters and numbers.